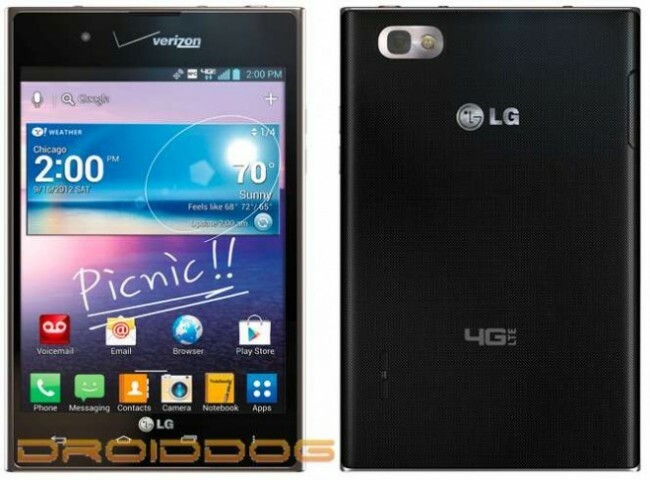 More images of the LG Intuition (previously known as the Optimus Vu) have leaked onto the web. From previous posts, we are still expecting a release on Verizon sometime this quarter and we also know the device will launch for $199 on a new two year agreement and have a full retail price of $549. In the mean time, let’s have some speculation fun. See the date on the widget? “9/15/2012” Oh my, is that the release date? We shall have to wait and see. With the Intuition being Big Red’s first huge display-rockin’ device, any thoughts on how popular it will be? Would love to hear your thoughts on this monster.